It is difficult to create new idea. Uneasy to establish new firm. But how much pleasure you receive, when all is going good! It is not necessary to compare it, certainly, with sorts, but something common obviously exists. Have you familiar which establish the firm? Or those who is suffering from torments of creativity? 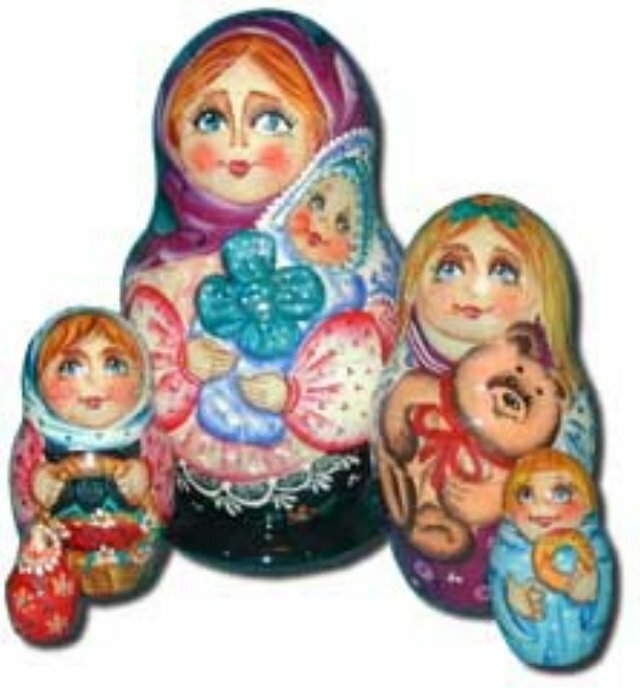 Pay attention to these nested dolls. How many pleasure and simplification on the exhausted face of mother! And as serenely happy the newborn child - long successful life waits for him. When will they have the nearest holiday?